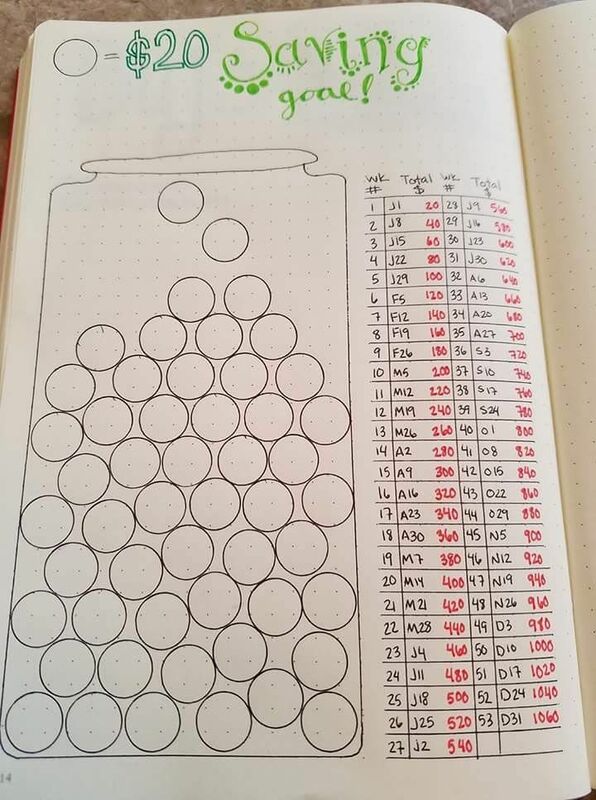 Planning for the new year! It seems like with the start of the new year my mind starts to reel with all of the possibilities of things I want to accomplish, make, share and more. The number one thing on my list is to "beef up" my bullet journal/planner. I have been using it consistently as a planner for many months and enjoy the multitude of lists and calendar features I'm currently utilizing, and now I want to take it a step further. Pinterest is always a great source of inspiration and here are some things that caught my eye to implement. We all could use a little more in savings - whether it be an emergency fund or savings for a particular item. 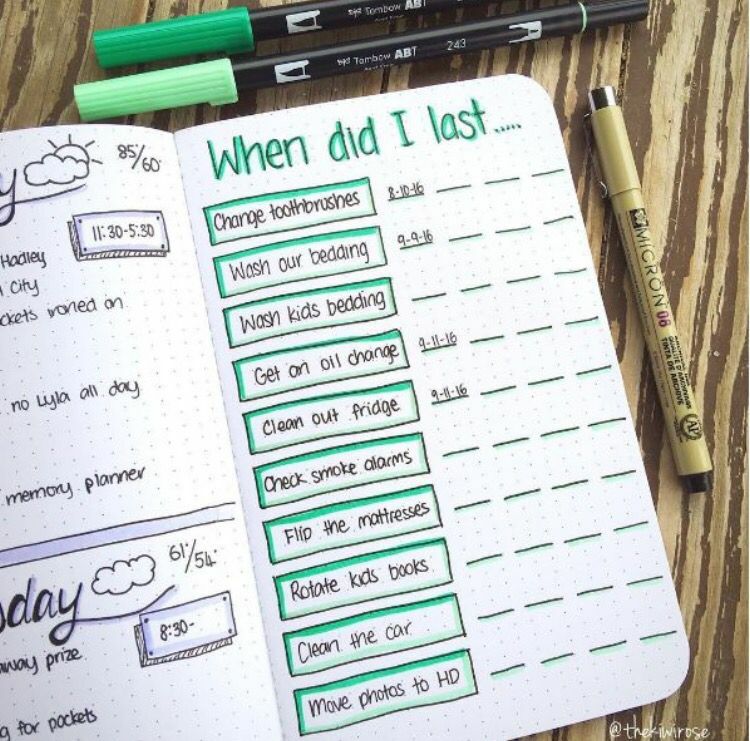 I love the idea of tracking what I spend my money on because often I use cash for my every day spending so I don't have the credit/debit transactions as record, plus I like being able to make notes about the purchase. 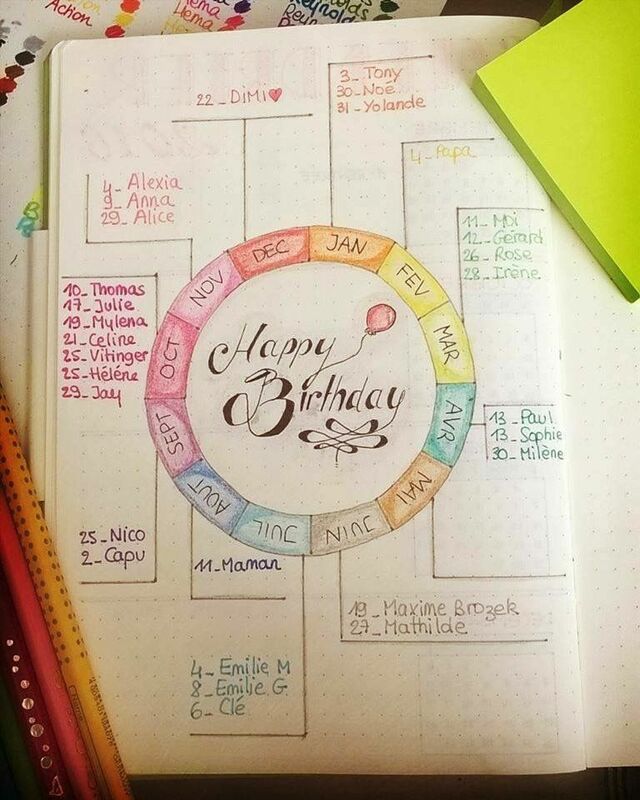 The whole point of maintaining a Bullet Journal or Planner is so you don't forget certain dates. However, having a couple of key pages dedicated to tracking specific dates can be really helpful. And lastly, it wouldn't be a new year without setting at least a few goals. ​If you want to work on your planner, bullet journal or traveler's notebook and get it ready for 2018, join us in the Palette & Paper studio on Saturday, January 13 between 11 am - 2 pm. It is an open "planner crop" time, but we do ask that you register here. Very well-done, it is an amazing art resulting with the usage of paper. Ultimately it is very ideal way of wishing people which are very close to our heart. It give the good result after sharing this remarkable use of paper.